Cocktail | 茶會　2010. 7. 24 at 3pm. 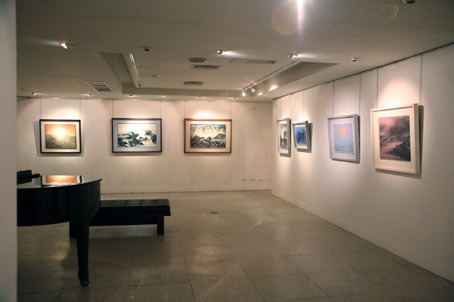 In July 2010, Modern Art gallery brings you exhibition of Liu Kuo-Sung, a modern Chinese ink painter. 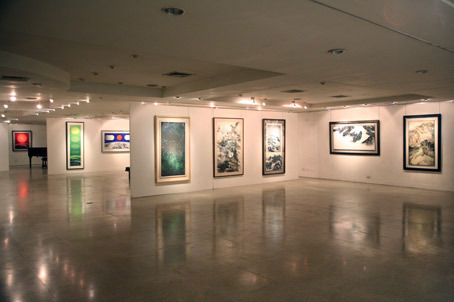 The exhibition will feature nearly 50 works covering the different periods, including the "Tibet Series"; one of this series is collected by the Shanghai World Expo 2010 in the VIP room of China Pavilion. 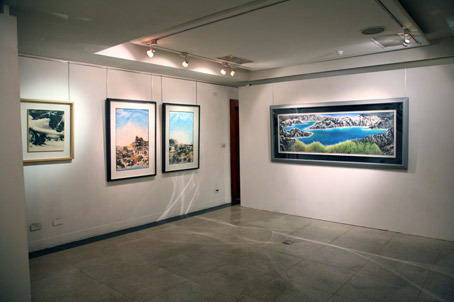 In 2009, Liu Kuo-Sung gets traveling exhibitions in Hubei, Ningxia, Sichuan of China, and got good reaction. 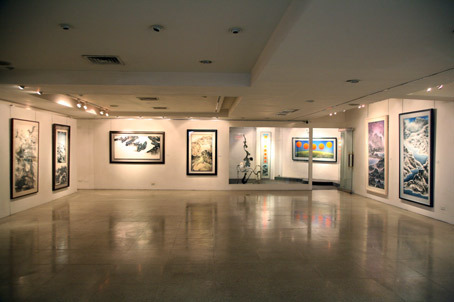 Lots of art museums collect Liu’s works including the British Museum, who collected Liu’s early “Space Series” this year. 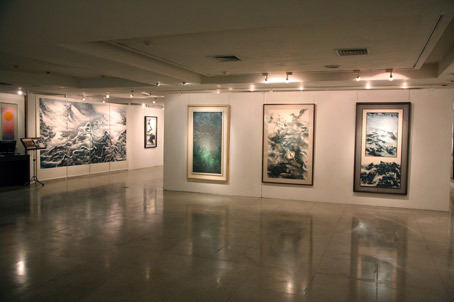 In the process of Liu Kuo-Sung’s creation, he is always committed to innovation and developed materials techniques in order to diverse different styles of performances, and prepare to create a truly new form of belonging to the Chinese people, a new style of truly Chinese painting, "modern ink painting." 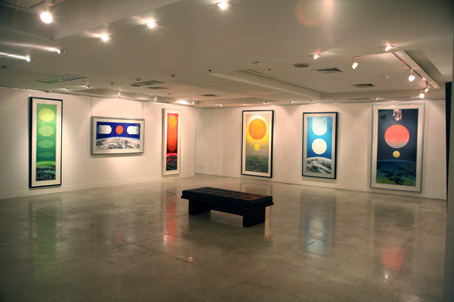 “Space Series” depicting a macroscopic point of view of the earth and the universe, open up a boundless field of vision. 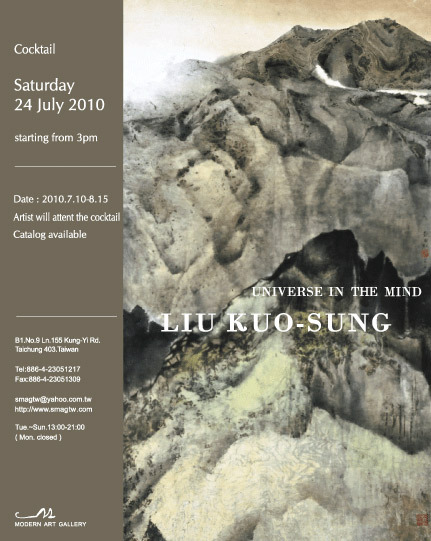 Liu’s inspiration comes from nature continually moving, the sun, moon and the Earth, “The Universe of My mind” is his spiritual reflection. In 2000, Liu Kuo-Sung took advantage of an opportunity to lecture in Tibet and visited the beautiful snowy mountain. However, because he suffered from altitude sickness, he left Tibet having lost hearing in his left ear. Although he paid a high price on this trip, the unrivalled beauty of Tibet’s wintry landscapes inspired him to create the “Tibet’s Series”. He used broad brushstrockes and the ripped paper fibres technique to portray the magnificence of the Tibetan peaks; the image is strewn with broken traces of white, as if the sun is reflecting upon the white show to reveal silver serpents winding across the mountain. “Jiuzhaigou Series” presented Liu’s colorful crystalline water, the image’s textural layers and colours weave together to create a beautiful vision of light reflecting off the trembling ripples.